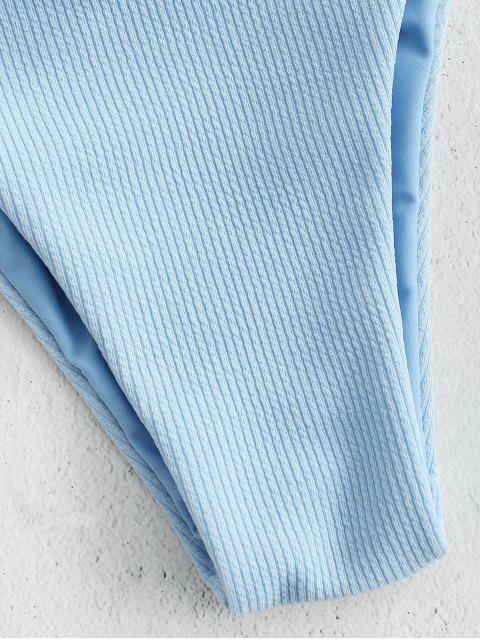 [23% OFF] 2019 Ribbed Knit Underwire Bikini In LIGHT BLUE | ZAFUL ..
Feel free to get on a simple trip in our solid bathing suit! Made from a ribbed fabric for a textured look, this bikini has an underwire bra without pads inserted for enough breathability and a pair of cheeky briefs to complete the fashionable style. Shoulder straps can be adjusted for the perfect fit. And the back closure makes it convenient to wear. Three colors for selection, there'll be a wonderful color fits you well.